Friday 26th June will see THE WHO play Hyde Park for the fourth and possibly final time (three times as headliners and once as part of Live 8) they join Taylor Swift, performing on Saturday 27th June as part of an incredible array of talent who will make Barclaycard presents British Summer Time Hyde Park the greatest music experience of the summer. 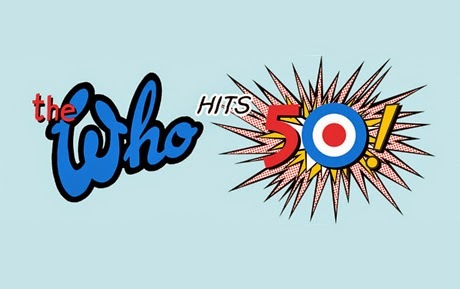 THE WHO’s very special guests include PAUL WELLER, widely considered to be one of the UK’s greatest song writers, has just released his second best of compilation ‘More Modern Classics’ with a new album due in 2015. Weller has had a lifelong relationship with The Who, citing them as an early influence, covering their songs whilst in The Jam and playing with both Pete Townshend and Roger Daltrey at Teenage Cancer Trust shows. KAISER CHIEFS will also be playing on the 26th June, the band are riding high off the back of their ‘Education, Education, Education And War’ album which has been widely hailed as a return to form. The band have a long history with The Who from playing early Teenage Cancer Trust Shows, covering Pinball Wizard at the 2012 Olympics Closing Ceremony and singer Ricky Wilson performing at The Who Hits 50 tribute show at Shepherds Bush Empire. JOHNNY MARR who has just released his second solo album ‘Playland‘ will be making his Hyde Park debut. The legendary guitarist also has history with The Who, in the early days of Oasis (specifically in the ‘Live Forever’ video) Noel Gallagher used to play a 1960’s Gibson Les Paul Custom guitar lent to him by Johnny who in turn had originally bought it from The Who’s Pete Townshend. AEG Live, The Royal Parks and Barclaycard are proud to present the third year of this unique and world-class event. Over the past two years, hundreds of thousands of fans have been entertained and 2015 will be no exception. As well as the huge ticketed headliners the midweek activities will return with free access for park visitors to enjoy film, music, sport and literature.